Non-Selective herbicides eliminate all plants (if absorbed by green tissue) and are used primarily in plantation crops such as rubber, oil palm, orchards and vines. They are applied on weeds growing between the trees to facilitate passage in tropical crops, save moisture in vines and orchards, and to reduce erosion. 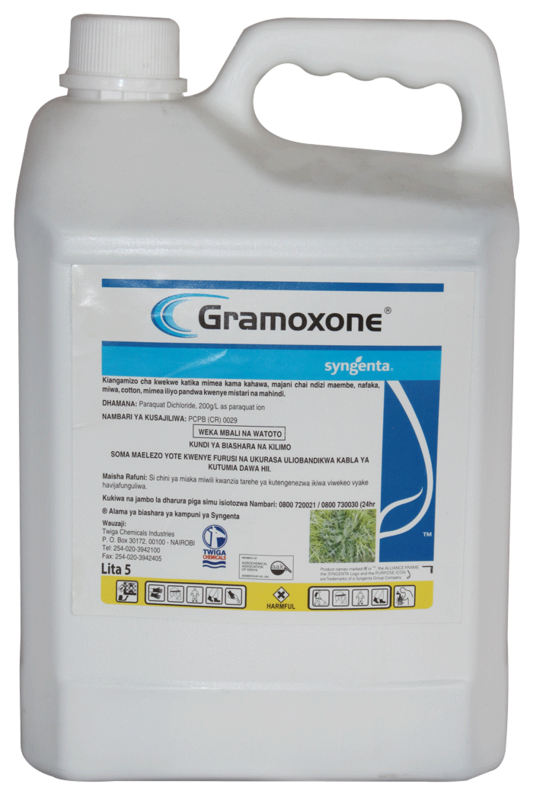 GRAMOXONE® 200SL is a unique, fast acting, non-selective, contact herbicide with many varied uses in a wide variety of crops. It kills all green weed vegetation in coffee, tea, sugarcane and inter-rows of maize and cotton. Excellent rainfastness absorbed within 10 -15 miuntes. Broad spectrum effective against a large variety of weeds. Fastest acting herbicides, faster than glyphosates. De-activated on contact with soil hence does not leach into ground water. No risk when used on weeds close to trees and shrubs. Ideal for pre-planting and pre-crop emergence spray. High efficacy, the improved dual adjuvant allows faster absorption and faster weed control than ordinary glyphosate. Systemicity, the Dual adjuvant ensures effective movement to growing points. Re-entry, it is absorbed to the soil and easily bio-degrable allowing subsequent cultivation. Flexibility, it may be used prior to planting all crops and in established crops such as coffee, tea, sisal , sugarcane, forestry and industrial weed control. Safety, it is low risk to the user, consumer, wildlife and environment.